On 5 April 2009, Folha ran an article about a supposed plan by guerrilla group Vanguarda Armada Revolucionária Palmares to kidnap Antonio Delfim Netto, who was the Finance minister during the military rule, in the early 70s, and alongside printed a criminal file about Dilma Rousseff, who was already the Brazilian President. The authenticity of the police record was contested. On 25 April of the same year, the newspaper stated in a report that it was impossible to guarantee that Rousseff's police record was authentic: 'Folha was twice mistaken on its 5 April issue, when reproducing a supposed police record that tracked Minister Rousseff's (chief of staff do the President) participation in plotting or carrying out armed actions against the military dictatorship (1964-1985)". In September 2010, Folha ombudsman Suzana Singer strongly criticized the paper's election coverage. According to her, Folha was "digging recklessly through the life and work" of presidential candidate Dilma Rousseff (PT), and reporting about it in a biased way. She also commented the reactions of readers on Twitter, where the hash tag #DilmaFactsByFolha – that held jokes about and criticism of Folha by users of the microblogging service- reached the top of the list among the 26 most commented topics. Folha has been convicted in court several times for the content it has published. In August 2008, the newspaper was ordered by the justice to pay a compensation of 250,000 reais (around 145,000 U.S. dollars) to a lawyer for publishing a picture of him to illustrate a news story about a gay village in São Paulo, which could lead to the interpretation that he was gay. According to the plaintiff's defense, the picture was taken secretly when he was hugging a male friend. The photographer eliminated their wives from the photograph. In March 2010, journalist Eliane Cantanhêde and Folha were ordered to pay 35,000 reais (around 20,500 U.S. dollars) to the judge Luiz Roberto Ayub as a compensation for moral damages. According to an article published by Cantanhêde, the judge "abandoned his 'false morality' and went on to contradict the law" in order to please the federal government. Judge André Pinto, who heard the case, understood her statement as an allegation of misconduct and bias. In April 2010, the newspaper was ordered to pay a compensation of 50,000 reais (around 29,300 U.S. dollars) to blogger Luis Favre, former husband of Marta Suplicy. Folha had published, in 2001, an advertisement authored by journalist Claudio Humberto, in which Favre was defined as a "kind of left-wing swindler, a Trotskyist with unsurpassed mental confusion and God's teacher, of the 'know it all' type. With the talk of an encyclopedia salesman and ingratiating as a tango dancer, he is everything that the good Senator Suplicy is not: a 'dog'". In June 2010, the newspaper was ordered to pay a compensation of 18,000 reais (around 10,500 U.S. dollars) to a woman cited in an article by journalist Elio Gaspari as a participant in a bomb attack against the U.S. consulate in São Paulo, which occurred in March 1968. Although the woman did belong to the guerrilla group Vanguarda Popular Revolucionária (Revolutionary Popular Vanguard), she was out of the country at the time in which the incident took place. Judge Fausto Martin José Seabra, in his ruling, said that the newspaper had "abused its right to inform, attacking the honor and the image of the plaintiff by attributing to her the commission of a crime". Folha has won in every lawsuit against it by members of the Igreja Universal do Reino de Deus – more than a 100 of them, up to now. The lawsuits involve Empresa Folha da Manhã S/A, which controls Folha, and reporter Elvira Lobato, who wrote an article entitled "Universal reaches its 30th birthday with a business empire", that ran in November 2007. There were lawsuits in several Brazilian States, and all of them offered the same quotes and phrases as evidence. More than 90 percent of those cases have already been decided, all of them in favor of the newspaper and its reporter. Folha also won a favorable decision in a lawsuit in which Igreja Universal do Reino de Deus claims to have been offended by the editorial "Intimidation and Bad Faith", about the large number of lawsuits against the newspaper by church members all around Brazil. In a unanimous decision, the 6th Circuit of the São Paulo Appellate Court confirmed in March 2012 a lower court decision dismissing the case. Besides the lawsuit regarding the editorial, the Universal church also sued Folha and Elvira Lobato for the article "Universal reaches its 30th birthday with a business empire", that ran in November 2007; the newspaper won, and no further appeal is possible. The church started a new lawsuit against Folha and reporter Fernando Barros e Silva, for the article "Billion Dollar Faith", that ran in December 2007. The district court decided in favor of Folha; an appeal is pending judgment. Folha won an injunction against the president of the Military High Court, on 9 September 2010, due to his refusal in granting the paper access to the records of a criminal lawsuit against Dilma Rousseff in 1970 (docket 366/70, STM), by claiming that the matter was "confidential". Rousseff was running for President, then; the election was due the following month. The newspaper claimed that the military court was infringing on an established right, due to the public's legitimate interest in knowing the facts about the candidate's public life. The injunction was granted on 19 October 2010, after the election, guaranteeing access to the records. Folha and journalist Renata Lo Prete won a lawsuit judged by the 5th Appellate Circuit in Rio Grande do Sul, reversing a lower court decision that sentenced Folha and Lo Prete to paying 139,500 Real in damages to Milton Zuanazzi, then chairman of the National Civil Aviation Agency (ANAC). Zuanazzi sued the newspaper for an article that ran on 20 July 2007, stating that his agency was acting to favor private interests and Zuanazzi himself was acting in defense of airline GOL's interests. In 2009, Folha and Lo Prete were sentenced by a district court to pay damages of 139,500 Real. The Appellate Court, however, judged by a unanimous vote that the article in question referred to internal disputes within ANAC and that Folha committed no abuse and did not injure Zuanazzi's moral standing. An appeal against this ruling was dismissed by the Superior Court of Justice. No further appeal is possible. Folha won an appeal to the Superior Court of Justice, in March 2012; the higher court upheld a decision by Brasília's Justice Court, dismissing a lawsuit by Senator Heloísa Helena against Folha's owner, Empresa Folha da Manhã S. A., and columnists Mônica Bergamo and Barbara Gancia. Helena claimed moral injury due to articles written by the columnists and deemed untruthful and harmful to her reputation. She claimed that her presidential run in 2006 was hurt due to press rumors about a romantic affair between herself and "then Senator Luiz Estevão (PMDB)" – an involvement she denies. The Superior Court claimed that the rumors deemed offensive by Helena were brought into public debate by her own action. There is an appeal of this decision to the Supreme Court, still pending trial. Folha won an appeal when the 9th Appellate Circuit in São Paulo rejected unanimously, in December 2008, a damages claim by federal judge Paulo Theotonio Costa, from the 3rd. Federal Circuit, against Empresa Folha da Manhã S.A., Folha's owner. In 1999, an article by reporter Frederico Vasconcelos revealed that the judge was showing off signs of a high net worth, very much unlike other Brazilian magistrates. In 2001, he was suspended from his duties with the Federal Justice system. The São Paulo Appellate Court upheld the sentence of a lower court, which claimed that "there is convincing evidence that the plaintiff [Theotonio Costa] has a much higher net worth than is common among Brazilian magistrates, most of whom come from the middle and lower-middle classes". Theotonio Costa's appeal is still pending judgment. 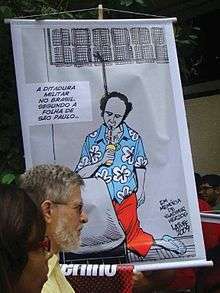 In September 2007, Folha won an appeal to the 8th circuit of the São Paulo Appellate Court, reversing a lower court decision that sentenced the newspaper to pay the equivalent to 1,500 Brazilian minimum wages to federal judge Robert Haddad, from the 3rd. Federal Circuit, and to publish the sentence on its front page. Haddad sued the newspaper claiming damages due to an article by Frederico Vasconcelos, who showed that Haddad's personal net worth appeared to be much higher than the average among Brazilian magistrates. Pondering free speech and a free press, on the one hand, and the privacy rights of the plaintiff, on the other, the Appellate Court decided in favor of the newspaper. 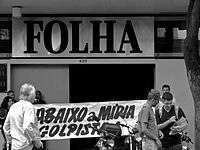 Folha won an appeal to the 8th Circuit of the São Paulo Appellate Court, in August 2011, about a lawsuit by the Union of Federal Police Inspectors, Association of Federal Police Workers and Union of Federal Civil Workers of São Paulo State against the newspaper. Those labor organizations argued that Folha abused its freedom of the press rights in 2004 when it ran an interview with Federal representative Luís Antonio Medeiros about the arrest of Chinese national Law Kin Chong, who supposedly tried to bribe the legislator. Medeiros charged the Federal Police with corruption and misadministration. The Appellate Court upheld the decision by a lower court, according to which the newspaper did not abuse its freedom of the press and free speech rights in reproducing Medeiros's statements without adding any appraisal of their accuracy. The unions appealed, and the is judgment is pending. In August 2011, Folha won an appeal to the 3rd. Circuit of the São Paulo Appellate Court, dismissing a lawsuit by judge Augusto Freire Teotônio, from Ribeirão Preto (SP), against Empresa Folha da Manhã S. A., Folha's owner. In 2009, Folha was sentenced to pay 90,000 Real damages to the claimant, who felt injured for an article in which a penitentiary warden claimed that Teotônio, a supervising judge, had allowed special treatment for some prisoners. The Appellate Court decided by majority vote that, in printing the statements of the penitentiary warden, Folha acted within its rights. The decision to reverse the original sentence was confirmed after revision, in April 2012. The claimant can still appeal. The São Paulo Justice Court favored Empresa Folha da Manhã S. A., Folha's owner, in a damages claim presented by police inspector Ruy Ferraz Pontes, from the São Paulo Civil Police, on account of an article ran on 7 July 2006, that presented him as involved in a contest of wills against prisoner Marco Willians Herbas Camanho, aka "Marcola". The article claimed that Ferraz Fontes had a "personal vendetta" against Marcola; and the plaintiff denied it. The article also claimed that Ferraz Fontes was the owner of an armored Land Rover, what the plaintiff also denied. Folha was sentenced to paying damages of 30,000 real, on 26 November 2008. The Appellate Court reversed the original sentence and explained that, in presenting Ferraz Fontes as an adversary of Marcola, the article was just showing him in his proper role. The plaintiff appealed, but that appeal was dismissed. New appeals are still possible. Ferraz Fontes initiated another lawsuit against Folha for an article that ran on 24 January 2010, under the headline "800 police inspectors under inquiry in São Paulo". The lawsuit was also decided in favor of the plaintiff by a lower court, and Folha was sentenced to pay damages of 20,000 Real. There is an appeal pending. Empresa Folha da Manhã S. A., Folha's owner, and reporter Frederico Vasconcelos won an appeal in the 6th Circuit of the São Paulo Appellate Court. The panel voted unanimously to revise a verdict that sentenced Folha to pay 1.2 million real damages to federal judge Ali Mazloum. Mazloum sued claiming that an article entitled "Change of Headquarters Causes Controversy", ran in November 2003, injured his reputation. The panel found out that "the actions of the reporter named as co-appellant, author of an investigative journalism book about the Justice system, cannot be mixed up with the article's content". The reporting judge concluded that the article contained no false or libelous content, and that its wording was not intended to prejudice or injure. 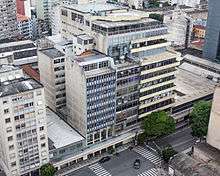 By a unanimous vote, the 8th Circuit of the São Paulo Appellate Court upheld in November 2011 a sentence that dismissed a lawsuit for moral damages brought by federal judge Casem Mazloum against Folha's special reporter Frederico Vasconcelos. The magistrate claimed that articles entitled "Change of Headquarters Causes Controversy" and "Federal Attorneys Investigate Judges Suspect of Harming the Union", ran on 11 November 2003, and 22 April 2007, respectively, injured his reputation. The panel found that no abuse was done and that the publication of truthful information obtained through licit ways was done with no intent to cause sensation and fully respecting the plaintiff's (Casem Mazloum) rights. The reporter acted under the freedom of press statutes and fulfilled his duty to inform. Mazloum appealed. Folha was found not guilty by a district court in the lawsuit brought by jurist Celso Antonio Bandeira de Mello against Empresa Folha da Manhã S. A., Folha's owner, for an article by journalist Eliane Cantanhêde on the extradition trial of Italian citizen Cesare Battisti, in 2009, and for notes published later on the "Panel" column about the same matter. The plaintiff claimed that Luiz Roberto Barroso, Battisti's lawyer, had asked for a legal consultation, and that he, Bandeira de Mello, had provided it free of charge; he added that, according to Folha, Supreme Court judge Ayres Britto was suffering "strong pression by his mentor, Celso Bandeira de Mello", and that the paper had repeated the injurious comment, claiming that the plaintiff was hired by Battisti's lawyers with the mission of lobbying the judge. The sentence accepted the defense allegations about Celso Antonio Bandeira de Mello's status as a public figure, frequently mentioned in the press, and that neither the article nor any of the subsequent notes about the matter contained derogatory remarks. The presiding judge found no injury, and thus no reason to accept the plaintiff's claim for a 100,000 Real damage payment. The decision is open to appeal. Folha won a favorable decision in May 2012 when the 3rd. Circuit of the São Paulo Appellate Court denied an appeal by São Paulo Civil Police inspector Nelson Silveira Guimarães over the dismissal of his moral damages lawsuit against Empresa Folha da Manhã, Folha's owner, and the newspaper itself. The plaintiff claimed that his honor was injured when the newspaper reported he was suspended from his duties with Detran. The article claimed that his dismissal was seen as payback by the command of the Civil Police for the plaintiff's allegations about undue interference by a former Public Security under-secretary on behalf of a police investigator jailed and charged with extortion. The Appellate Court found that the article did not injure the plaintiff's honor because his name was in no way linked to any irregularity, and that its tenor was laudatory to Guimarães for not caving under pressure, stating his objections to a situation he disapproved of, and being dismissed as a result. ↑ Sacchitiello, Barbara (26 May 2015). "Circulação dos cinco grandes jornais cresce". Meio & Mensagem (in Portuguese). Retrieved 26 May 2015. ↑ "Brazilian media". Embassy of Brazil in London. Retrieved 8 August 2015. 1 2 3 4 Mota, Carlos Guilherme; Capelato, Maria Helena (1981). História da Folha de S.Paulo: 1921-1981. Impres. 1 2 Gisela Taschner. Folhas ao vento: análise de um conglomerado jornalístico no Brasil. 1 2 3 Oscar Pilagallo (2012). História da imprensa paulista: jornalismo e poder de D. Pedro I a Dilma. Três Estrelas. ↑ "Presos Políticos?". Folha. 30 June 1972. p. 6. ↑ (Portuguese) Editorial. "Limites a Chávez". Folha de S.Paulo. 17 February 2009. (Posted at NucleodeNoticias.com.br on 27 February 2009). ↑ RAMOS, Camila Souza (entrevista com Beatriz Kushnir). "A "ditabranda" e os interesses comerciais da Folha". Revista Fórum. 20 March 2009. ↑ CINTRA, André. "De caso com a Ditabranda". Caros Amigos. Abril de 2009. Archived 22 December 2009 at the Wayback Machine. ↑ BENEVIDES, Maria Victoria de Mesquita. "Maria Benevides critica a 'Folha': 'Ditabranda' para quem?". Carta Capital. 27 February 2009. ↑ Record's YouTube channel, video "O escândalo da ditabranda"
↑ Peixoto, Paulo (18 April 2009). "Dilma questiona autenticidade de ficha sobre sua prisão pelo regime militar". Folha.com (in Portuguese). Retrieved 21 July 2010. ↑ "Autenticidade de ficha de Dilma não é provada". Folha Online (in Portuguese). 25 April 2009. Retrieved 21 July 2010. ↑ MAGALHÃES, Luiz Antonio. "Folha publicou ficha falsa de Dilma". Observatório da Imprensa. ↑ "Os filhos do Brasil". Folha de S.Paulo. Grupo Folha. ↑ "Tendler: "Só um débil mental não viu que era piada do Lula"". Blog do Noblat. O Globo. 1 2 "Lula reage a acusação de violência sexual - versaoimpressa - - Estadão". Estadao.com.br. ↑ "VEJA 1 – O "MENINO DO MEP" FALA EM "MAR DE LAMA" | Reinaldo Azevedo - Blog". Veja.abril.com.br. 28 November 2009. ↑ "Sem pĂŠ nem cabeça, irresponsåvel, delirante - | Observatório da Imprensa | Observatório da Imprensa - Você nunca mais vai ler jornal do mesmo jeito". Observatoriodaimprensa.com.br. ↑ "Lixo em estado puro - Observatório do Direito à Comunicação". Direitoacomunicacao.org.br. 30 November 2009. 1 2 "Seleção brasileira é 'eliminada' em anúncio da rede Extra" (in Portuguese). G1. 29 June 2010. Retrieved 21 July 2010. ↑ "Ombudsman da Folha de S.Paulo acusa jornal de ser parcial na cobertura eleitoral"
↑ (Portuguese) "Brincadeira no Twitter critica manchete da Folha sobre Dilma". A Tarde. 5 September 2010. Retrieved 12 September 2010. ↑ "Folha fez cobertura mais crítica a candidatos"
↑ Sterling, Bruce (19 December 2010). "More Brazilian Cyberpolitics". Wired. 1 2 Vasconcelos, Izabela. "Fundador do WikiLeaks defende liberação do blog Falha de S. Paulo". Comunique-se. 23 December 2010. Retrieved 23 December 2010. ↑ "Brazilian paper sues over satire | beyondbrics". Financial Times. 27 December 2010.